We understand that most of our customers call when they're experiencing trouble, so we provide friendly service at competitive rates. Since 1969, Abney's Garage & Wrecker Service has offered fast towing, auto repair and cleanup services at competitive rates to motorists in Viburnum, and beyond. 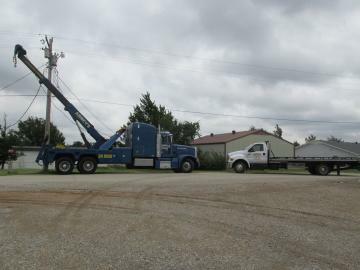 We will always do our utmost to get a tow truck to you as quickly as possible, and tow your vehicle wherever you need it in the Viburnum, MO area. Our goal is to minimize your hassles and get you back on the road as quickly as we can. Leave it to us to get you back on the road quicker!